Our Manchester Chiropractic Clinic is located in the St James’ building on Oxford Street in Central Manchester, and is associated with our new chiropractic training facility, the first in the north of England. Our Chiropractic Interns provide care to the local community at an affordable price as part of their final, supervised Masters year of study. 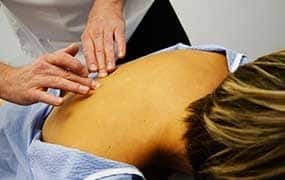 Chiropractic has been found helpful for managing a wide range of problems, including back ache, neck ache, headaches and joint pain, as well as for rebalancing the whole body and helping individuals optimise their health and wellbeing. 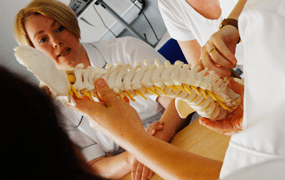 Should you wish to make an appointment please telephone: 0161 235 7100, or call for a FREE spine check and a chat to one of our Interns to find out if chiropractic can help.